If you want to visit the tourist places of Chhattisgarh State, the answers I gave to an anthropologist for the organization of his trip will help you. Do you dream, like Marc, a Canadian anthropologist who contacted me, of meeting tribes that have remained authentic and welcoming? If the answer is yes, the Indian Chhattisgarh State is made for you and represents an excellent alternative to Orissa, less open. The people of Bastar are extremely welcoming and have made me fall in love with Central India. 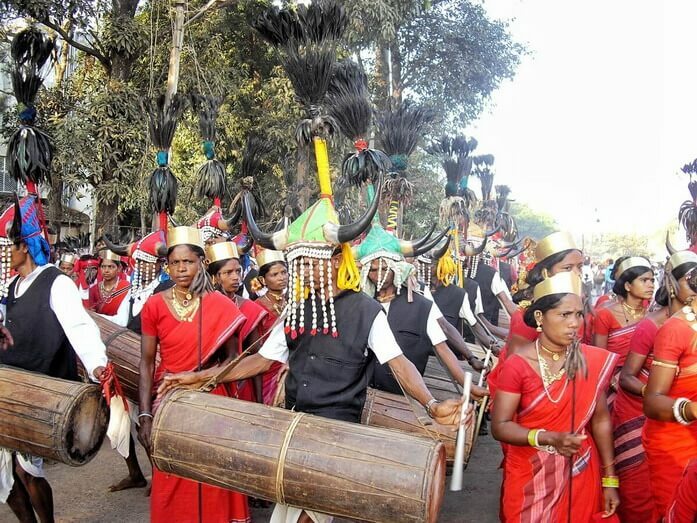 Read my article about Bastar district and its tribes if you are looking only for information about the Tribal district of Bastar. Since 2012 and my participation in the longest festival of the World, Bastar Dussehra, the majority of my writings and trips are devoted to the Indian tribal belt. 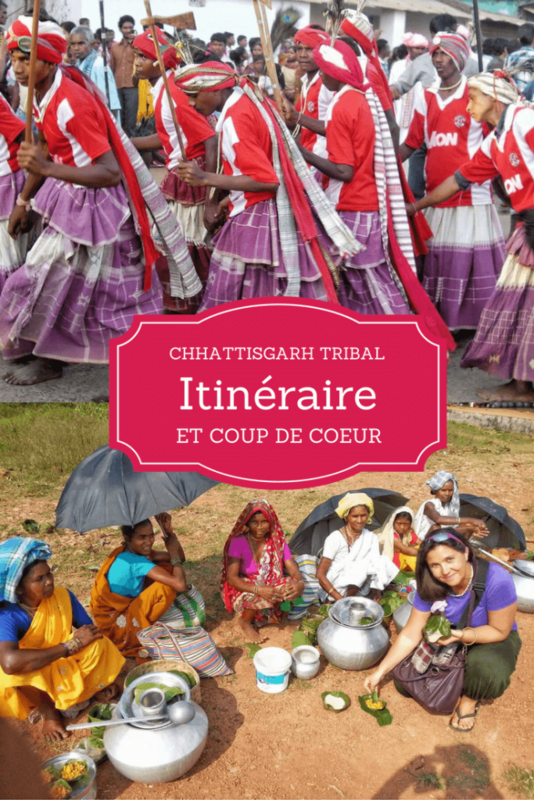 With each trip, I try to gather more information about the tourist places of Chhattisgarh, which is little mentioned in the French media and to which the paper guides have very little room for. 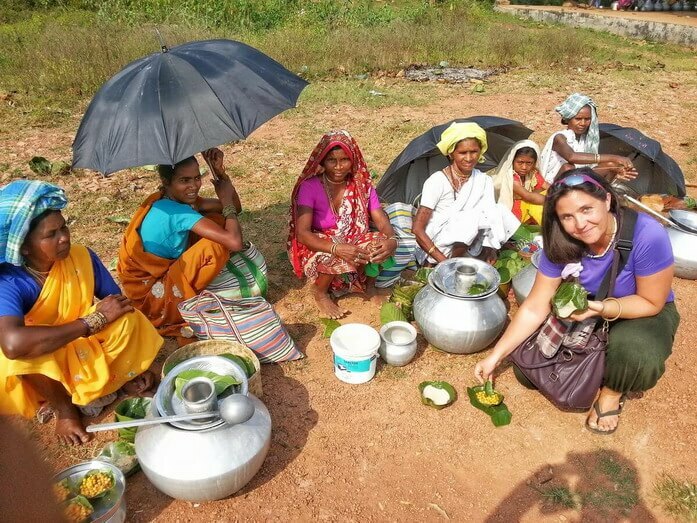 In this article, I give you my tips to travel alone to the tribal Chhattisgarh and prepare easily for your next trip to Central India. Contact me if you have any other questions! 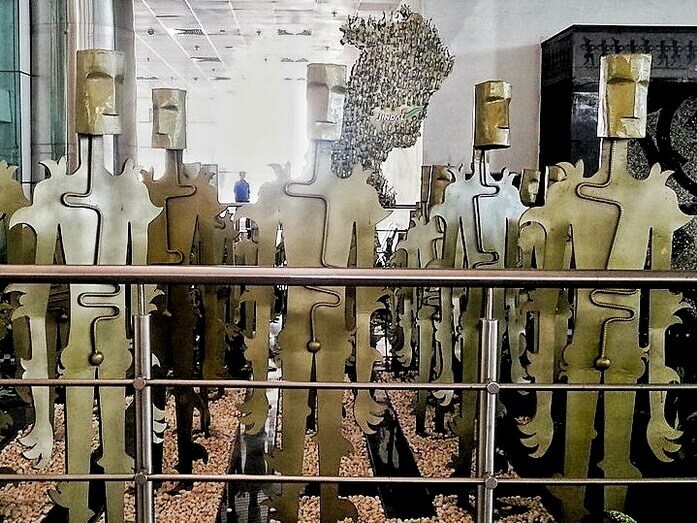 Do you have suggestions for visits, advice or favorites to share about the tourist places of Chhattisgarh? Favorites, contacts and local transport to visit Chhattisgarh. Best base for travel and accommodation in Bastar, guide services. Other tourist places for a longer stay in Chhattisgarh. If you want to know more about Chhattisgarh. I read on your forum profile that you have developed a beautiful relationship with Chhattisgarh. I plan to do a little tour in the last week of February. If you have any suggestion for a visit, advice or favourites to share, don't hesitate to contact me: I am a buyer! I don't think it's possible to avoid Raipur. Do you think there is a better area than any other in which to pack for a night or two? Any particular hotel? In principle I should arrive in Raipur with the train from Delhi. My plan is to get to Jagdalpur by bus. For the rest, it's the unknown! I literally fell in love with Chhattisgarh, more precisely Bastar. Raipur is a modern city without great charm. However, its airport is very convenient, especially since the road between Raipur and Jagdalpur has now 4 lanes. As soon as we arrive in the hall, we are immediately immersed in the tribal atmosphere! June 2018 addition: Jagdalpur now owns its own airport, connecting the city to Raipur and Visakhapatnam. For the favourites, Bastar of course! I gave Marc the names of two of my friends, very close to the tribes. Both are guides and one of them can also accommodate you in his village. Contact me if you would like to be put in touch. 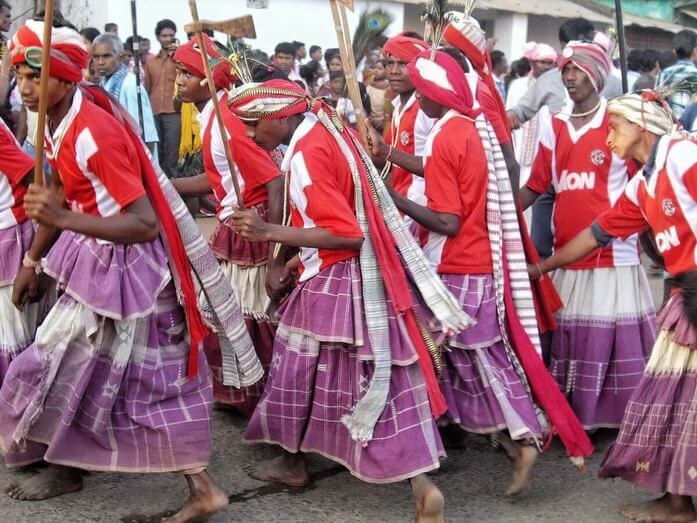 In February, a friend of mine insists that I attend Fagun Madai in Dantewada. He absolutely wants me to discover this festival, so it's a great tribal festival because he knows my tastes very well. 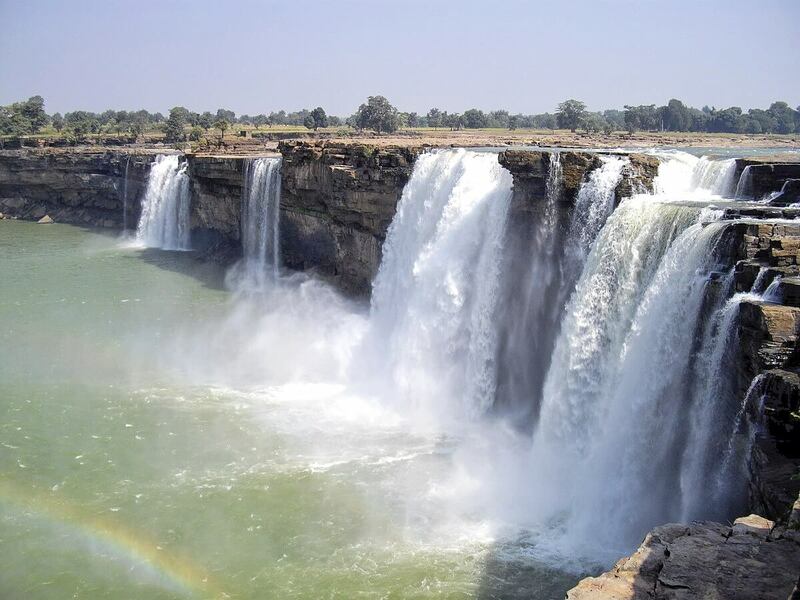 Otherwise, from Jagdalpur, it is easy to reach Chitrakoot Falls, Kanger Valley (Tirathgarh Falls, National Park), and some villages for tribal markets by bus or with a tuk-tuk: Lohandiguda, Tokapal, Bastar in particular. Nangoor, also has a very interesting tribal market. "It is certain that if I can avoid Raipur I will do so, but for the moment I do not see how I could, especially if I arrive directly from Delhi. I suppose the stop in Sirpur is worth it? I will carefully examine the different links you gave me for more information about the region. One thing though: if I am not mistaken, when we talk about Bastar, we are referring to a district or a region and not to a specific city or place? If so, what is the best place to stop for a few days to find out more about the place and its surroundings? Jagdalpur? How does it work for your local contacts? In fact, I should say how much do I have to pay for their services?" 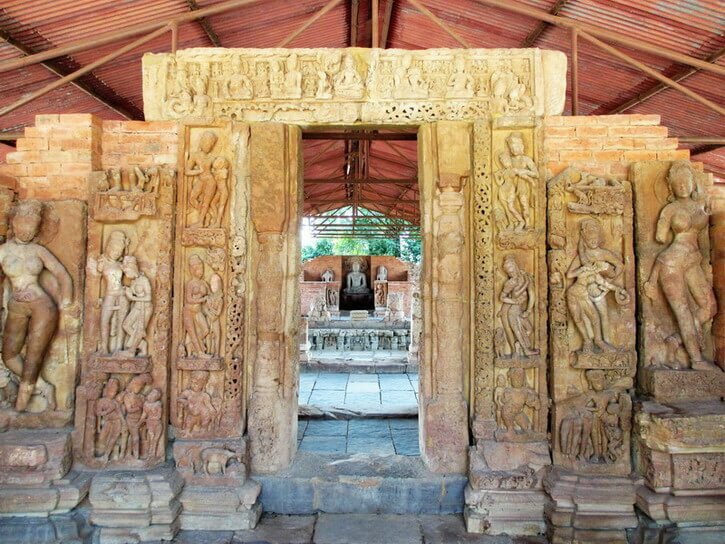 Sirpur is a nice stop and one of the best tourist places in Chhattisgarh. But if your time is shortened, I would favour Bastar. If you use the public transport, visiting Sirpur would force you to return to Raipur to go back to Jagdalpur. Indeed, Bastar is the southernmost district of Chhattisgarh State. 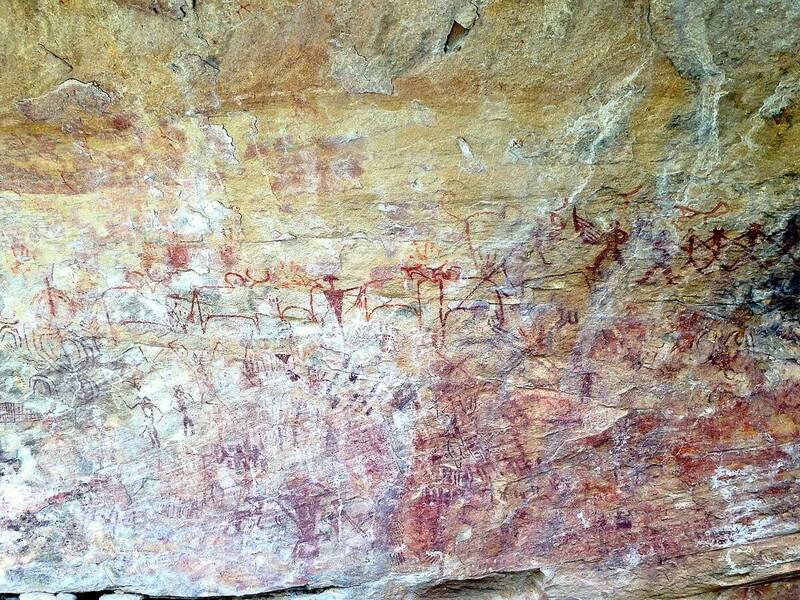 It is also the name of a village with a very interesting Tribal market and exhibition park. The best way to get around is from Jagdalpur. Also for the accommodation elsewhere. Unless you stay in Nangur, the tribal village of Shakeel who will guide you. I met him online long before my first trip. He works as a guide and I know his rates are very honest. A Parisian photographer to whom I have recommended his services has already travelled twice with him. He lives in a tribal village in a traditional house and offers accommodation at home. Contact me to be put in touch with him and get a code for a special offer. June 2018 Update: Shakeel is building a guest house close to his farm in a tribal village. This will be a tremendous opportunity for travellers, as the Chhattisgarh hotel offer is rather disappointing and expensive. He hopes it will be ready next October. Here is a video that an Indian friend shot during our visit to Nangur. One of the tribal specialities of Bastar is the red ant, generally prepared in chutney "chapura". Depending on the eggs, the taste is similar to tamarind fruit or ends in bitterness. As for my other guide friend, I had met him for the first time in 2012, but we didn't have much time to talk. I don't know his rates. In fact, people have really adopted me as one of their own in Bastar and even the guides devote time to me because of my love for this region and culture. I think he is more expensive than the first one (both are friends too) but he knows the tribal culture extremely well and is very close to the tribes in all the villages, having been among them for a very long time. As far as I am concerned, the first time, I only travelled with local transport and alone, except in Jagdalpur. In 2015 I was with these two guide friends and some local journalist friends, I was often with them and they would take me around every time they went somewhere. In 2018, I have stayed in Jagdalpur, in Shakeel's homestay then with the family of a friend in Jagdalpur. You can contact my two guide friends to find out more about the festivities and what they can offer. They will respond very kindly, and that is without obligation to hire them. "I will probably avoid Sirpur, not because of lack of time but because I have already visited many similar places in India, even if each one is different. I like the idea of staying for a few days with the locals. I will certainly try to get in touch with your friend. In fact, the time I spend in the surroundings will depend more on how much I like the place and how well I feel... I have almost a month of "free time" before I reach Arunachal Pradesh around 15 March, which is the main goal of my next trip. The Bastar is a kind of "detour" that I think will be a beautiful discovery." If the stay is longer in Chhattisgarh, there is another possibility before Bastar: the temples of Sirpur (which are of great historical importance and the Dalai Lama found there, I quote, "all the essence of Buddhism") + the reserve of Barnawapara. Not only is there fauna and flora, but it is historically very rich too. You will find there Valmiki's ashram, the author of my favourite book the Ramayana. It is also where Luv and Kuch, Rama's children, were born. This area, including Bastar, would be Rama's place of exile. To organize your visit, read my Sirpur travel guide, where you will find all the practical information as well as the places to visit and their history. A few Gonds from Central India have confided to me that the Ramayana represents them as the bad guys: the Raksasas etc. would be the Adivasis - members of the tribes - according to them. As in some parts of the south of the country, the Gond tribe does not see Ravana as a demon. Instead, they worship him as their God. Several festivals pay tribute to him. Above Valmiki's ashram, there is also a half-Hindu, half-Tribal temple. Tribal festivals are held there. All the villages around Sirpur and Barnawapara are inhabited by tribes. Personally, with the time you have at your disposal, I would make this "detour" because it's very different from what we expect: Sirpur is actually a very small village in the middle of nowhere with a very extensive archaeological and tribal area. Roads are more like paths through the forest. 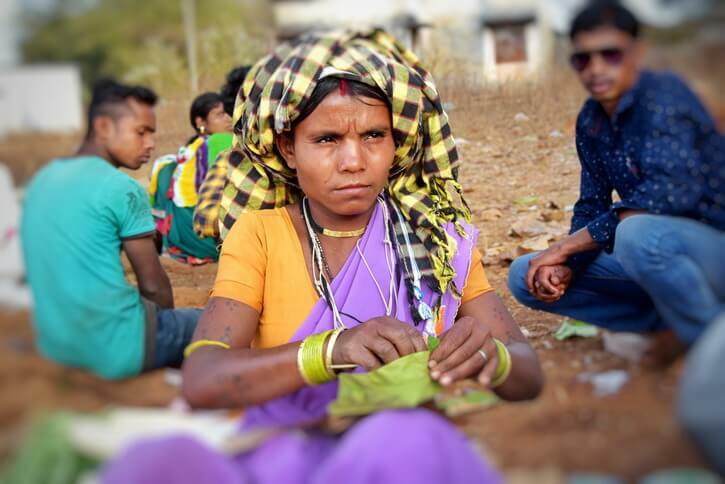 Then, before going to Jagdalpur, I would go back up to the villages of the Ramnamis (tribe tattooing the whole body with the name of their God Ram). A friend of mine will take you there as long as there have been no visitors recently. As this custom is on the verge of extinction, it is not desirable that all travellers visit them... Personally, I had made the choice not to visit them as they had just received visitors. 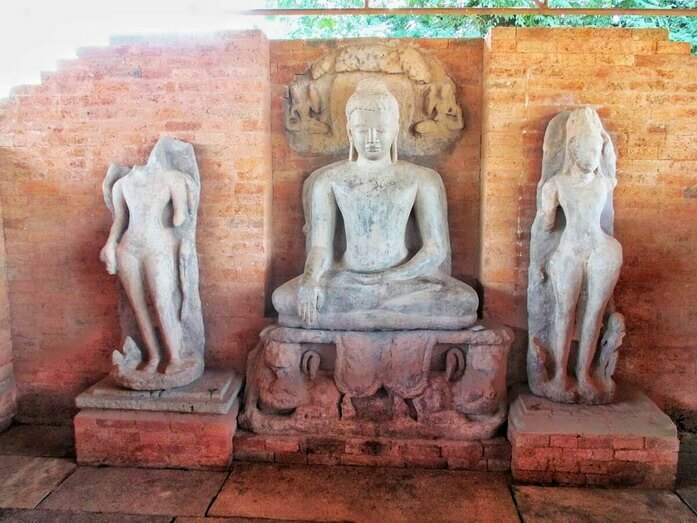 "For Sirpur, you've convinced me that it's worthwhile to go there, but now it remains to be seen whether it will be at the beginning or end of my stay in Chhattisgarh, or before heading north." In this case, I would go directly from Raipur to Jagdalpur, possibly with a stop in Kanker. 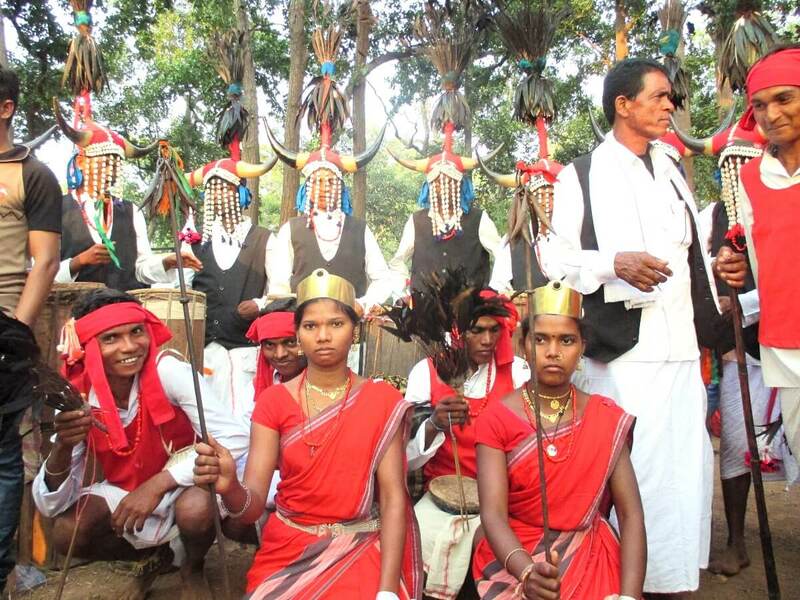 After the discovery of Bastar, I would go close to Baloda Bazar to meet the Ramnamis. I would ask to be dropped off at Barnawapara on the way back to Jagdalpur. After the wildlife reserve, I'll go discover Sirpur. Then return to Raipur for connections to the north. That said, the big risk is to fall in love with Bastar and not wanting to leave it once you get there! Note: the above itinerary includes places that I have not yet visited but which deserve to be visited. ¤ Mainpat, the little Tibet of Chhattisgarh. ¤ Ambikapur to leave the state by plane or train. Through this answer to Marc, I have revealed to you many tips to enjoy the tourist places in Chhattisgarh. Do you also know Chhattisgarh? Do you have other tips to share? If you have any further questions about this part of India or another country I know, please contact me. You are a blogger or journalist and want to interview me? You can contact me via the contact section or chat. If you would like to learn more about the state of Chhattisgarh and Central India, subscribe to the newsletter using the form below. Fascinated by this part of India, I dedicate most of my articles to it. To better understand the Indian culture and measure the historical importance of Chhattisgarh, I recommend reading Râmâyana, my favourite book. Reading it will also help you to decipher the references to its history that you will find in many Asian countries. The Angkor temples are a perfect example of the influence of Ramâyana throughout the continent. Disclaimer: This post may contain compensated links. As an Amazon Associate I earn from qualifying purchases. Read our disclosure policy to know more. Attractive way of introducing this great tour. Have a nice tour Day. Thank you Stephanie for showing me the link and the beautiful map you created. Wow! India is also still so high on my list. Welcome Jessy! I guess most people have no idea of the localization of Chhattisgarh but Central India is a jewel for travellers interested in the Tribal people. I’ve tested several plugins before using this free one. It was really the best. This a truly facinating post! I’m of Indian origin but have never set foot on the sub-continent. We celebrate Divali as the major Hindu festival in my country, Trinidad. It’s interesting to learn about the tribal cultures that fuse Hinduism with tribal customs! Wow, you should go to India someday! As you said, in Chhattisgarh, Bastar Dussehra is a mix of Hinduism and Tribal customs. People visit Durga pandals while enjoying the Tribal rituals of Bastar Dussehra. It was quite confusing for me as it happens at the same time. Great post. You really got to experience the culture. Never heard of this city but it looks beautiful.